Your property represents hours of thought and hard work. Let us show you how we can save you money and time. Give us a call today at 573-280-3276 and schedule a free estimate for your project. Your Lake Ozark tree service and landscaping professionals specializing in tree trimming, tree removal and landscaping. Ozark Tree and Landscape is located by Lake Ozark in Barnett, Missouri. 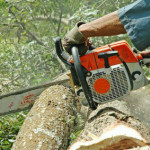 We specialize in residential and commercial tree and lawn services. At Ozark Tree and Landscape we take great pride in supplying the most reasonable pricing and taking care of all your tree and landscape needs. 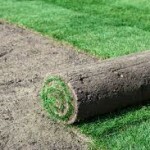 We use only the best landscaping supplies and equipment and are dedicated to completing each project in a timely manner. We guarantee customer satisfaction taken to new levels. Removing and working on trees can be dangerous even though are crew is highly trained and experienced, therefore we are fully insured for your peace of mind. Let us show you how we can save you money and time. Give us a call today at 573-280-3276 or click here to schedule a free estimate for your project.